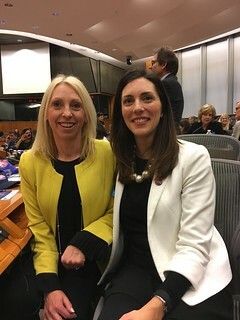 On 30 November, the UK National Agency Director, Jane Racz, and Deputy Director, Madeleine Rose, represented the Erasmus+ UK National Agency at the European Commission's event in Brussels to close the 30th anniversary celebrations for the Erasmus+ programme. During the day, the European Commission shared the 2016 Annual Report highlighting another record year, and confirming the key role played by the programme in building a more resilient Europe united around common values. A time capsule was sealed by Commissioner Tibor Navracsics, together with Vice-President Jyrki Katainen, with items including materials from the 30th anniversary and a number of posters, videos and testimonies showcasing the impact of the programme. Attendees were invited to include one idea on a card about the future of Erasmus+. The capsule will be opened in 10 years at the 40th anniversary of the Erasmus+ programme. In the afternoon a high level panel discussion with Commissioner Navracsics, German MEP Petra Kammerevert, Estonian Education Minister Mailis Reps, and Discussion Leader Catherine Fox was held in the European Parliament. 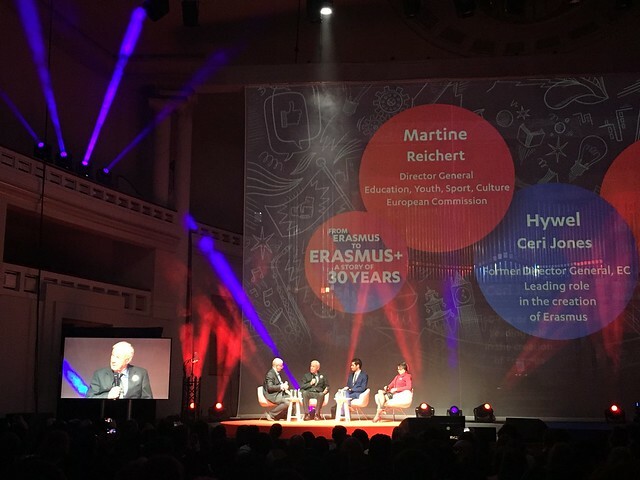 The discussion opened with a presentation on the Erasmus+ Generation Declaration which outlines a vision beyond 2020 and calls for a bigger programme in order to make a bigger impact. During the discussion there was a welcomed call for the UK to continue to participate in the future programme. Throughout 2017, more than 750,000 people have taken part in over 1,900 events in 44 countries to celebrate and discuss the future of Erasmus+; 65,000 articles on the programme were published and shared over two million times on social media, reaching over 90 million people. The Erasmus+ mobile app, launched in June 2017, has already been downloaded more than 22,000 times. In the UK, we shared participant stories throughout 2017 and commissioned a special poem to mark the occasion, which was performed live at our Annual Conference. Think big – but make it smart and simple! View the complete Erasmus+ Generation Declaration, which outlines 30 recommendations and recognises the need for a smart, accessible and simplified programme.